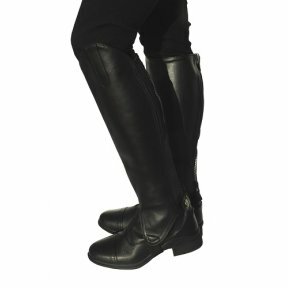 Made from soft leather these chaps provide the ultimate fit and comfort. 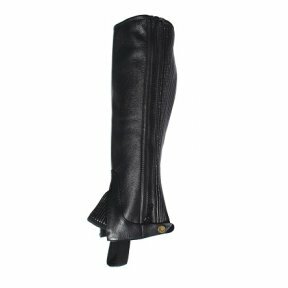 They are carefully crafted from one piece of leather so no seams are present allowing the best possible fit. 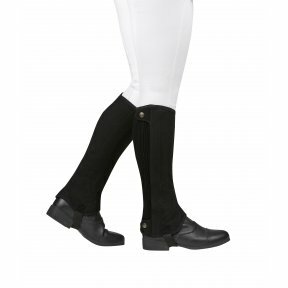 Soft leather gaiters with a comfortable elasticated leather panel at the calf for ease of movement and variation in fit . 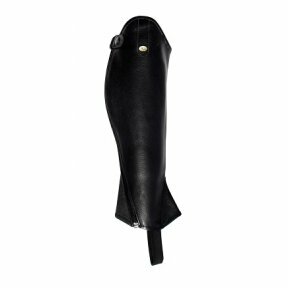 A subtly padded Synthetic gaiter with an elastic panel in the calf for ease of movement and various size adjustment. 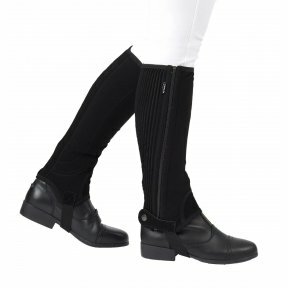 Soft leather gaiters with a comfortable elasticated leather panel in the calf for ease of movement and variation in fit. 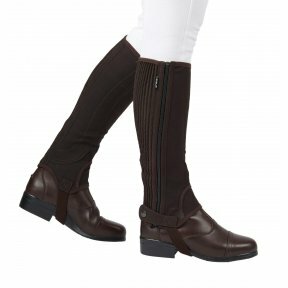 A soft, luxury leather gaiter with a defined leather grain, an elastic panel in the calf for ease of movement and various size adjustment with a European style curved zip feature for a really good fit and flattering shape.